There are so many great ways to continue to grow in our faith. In the Boston (MA) area there are some wonderful programs for faith formation. The Master of Arts in Ministry program at St. John's Seminary recently celebrated it's 10th anniversary and is featured in the current edition of The Pilot. The MAM program is one of the sponsors of the Co-Workers in the Vineyard Program on Friday, April 16th from 9am-3:30pm. 3:30pm . The event will be held at the Campion Renewal Center in Weston. St. John's Seminary also offers a Catechetical Certificate program. 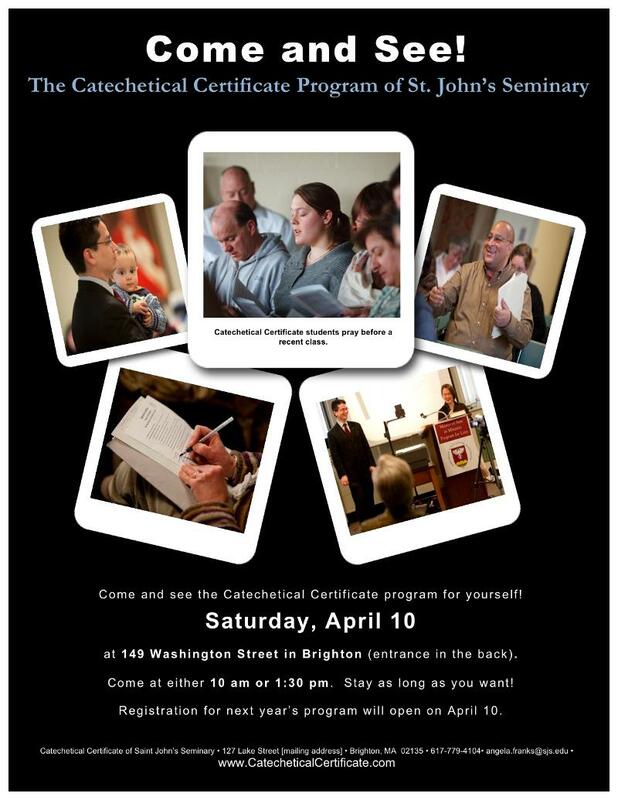 A "Come and See" informational sessions will be held on Saturday, April 1oth at 10am or 1:30pm at 140 Washington Street in Brighton. Check it out!